The wmz21 library emulates a Z21 Command Station and redirect the WLANmaus commands to any another Command Station, or directly to the matching Loco, Switch or other objects. Because every WLANmaus/Z21-App has its own IP-Address, this library can support multiple WLANmaus/Z21-App devices. The wmz21 library must be the first in the controller list in combination with the z21 library. The Z21 App is supported from Rocrail revision 13.595. Add a new Command Station of type wmz21. Unique name for this controller. Add the library wmz21 to the end of the Controller list, or set the Target accordantly to the wanted Interface ID. Optional prefix in case of addressing type A2ID. FADAM The WLANmaus switch address divided by 100 is the bus, and the switch address modulo 100. A2ID The WLANmaus switch address will be used as Rocrail switch object ID, range: "0001"…"2048". If no switch was found by this ID the Routes, Signals, Outputs, Switches, Turntables and FiddleYards will be searched for this ID or Number. This kind of mapping is CS type independent. This is for converting the switch flat address send by the WLANmaus to a scheme which the target library supports. The A2ID scheme could be off use for systems using the bus number extensively like BiDiB. 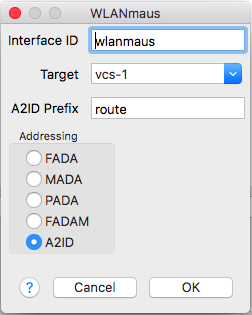 Routes, Switches, Signals, Outputs, Turntables and FiddleYards have optional numbers which can be used for mapping a switch address generated with the WLANmaus in combination with A2ID. This is the easiest way for addressing Rocrail objects and is Command Station independent. Only the first one found of an object list will get the command. Use Routes with numbers if multiple objects should be set with one click. This can be used in combination with Disable steal loco server option. First of all the DP IID in the Rocrail properties must point to the Interface ID of this library. Then select menu item “Control → Transmit Short IDs” to send all Short IDs to all WLANmaus'ses which are put in receive mode. 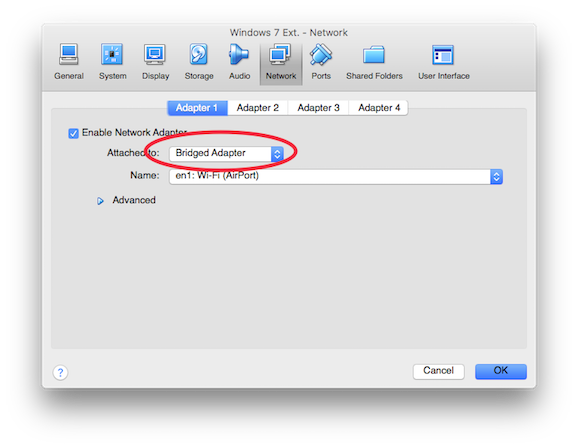 If the Rocrail server runs in a virtual machine, like VirtualBox, make sure the Network Adapter is bridged to be able to receive the WLANmaus packets.